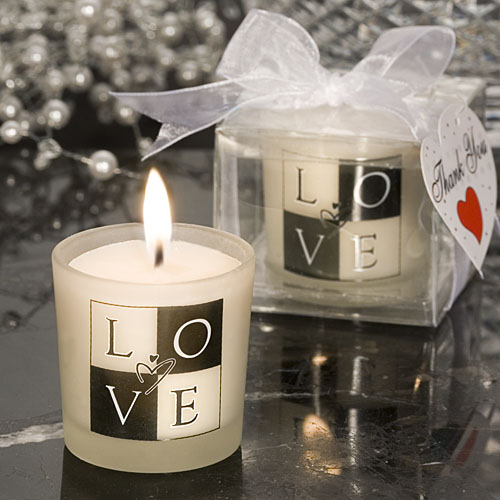 It's love that brings everyone together to share in your special day so what could be a better token to commemorate the occasion than these stylish LOVE design candles? Each 2" x 2" x2" candle has a white frosted glass holder decorated with a block lettering Love and complementary abstract heart design with a poured white candle inside. Each comes individually packaged in a clear plastic box tied with a white organza bow and an attached thank you tag.